I’ve got a heck of a surprise for you guys! It’s big news! Exciting news! Guess what?! I wrote a book! Look at that! It’s got my name on the cover and everything! It’s a super-comprehensive “how to knit socks” book! 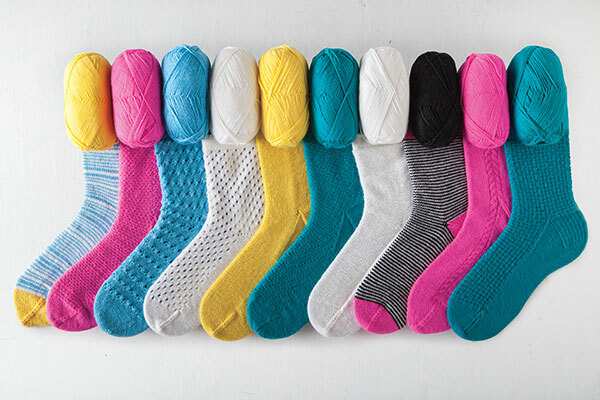 The book is basically one big old recipe for making socks of every possible variety. 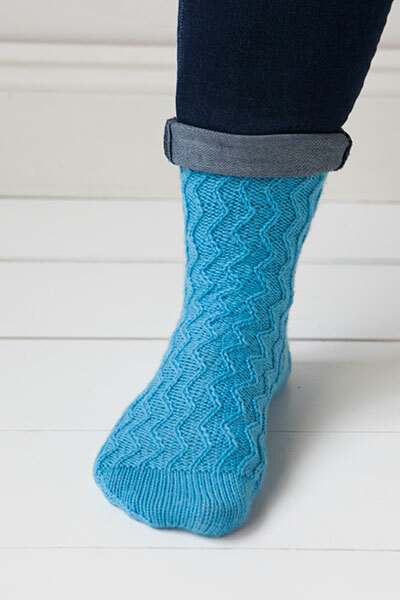 You want to make top-down socks with cables? Covered. 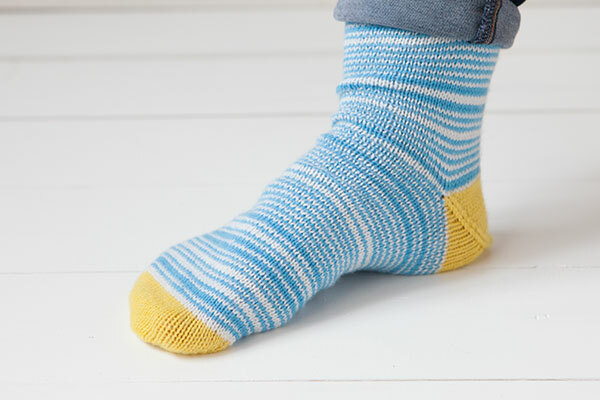 Want to make toe-up socks with stripes? No problem. Are you thinking about baby socks with afterthought heels? Done. 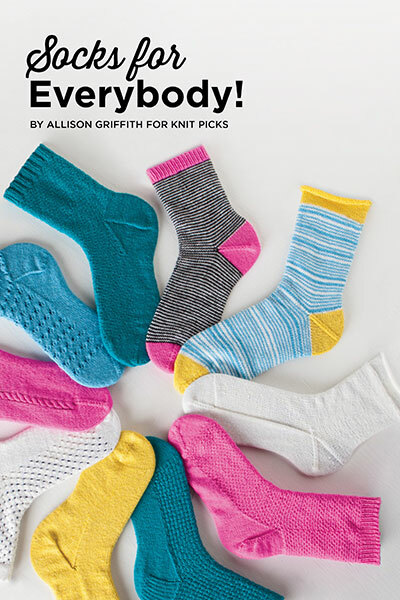 Socks For Everybody is a big a la carte instruction book that lets you make any sized socks using any yarn you prefer with any heel/toe/cuff/design combo you want. I’ve included tons of tutorials detailing how to get through the trickier parts of sock construction (with lots of beautiful pictures to help you on your way), making this book perfect for people who have never quite gotten up the guts to try sock knitting before. Sure, this book is great for people who are new to the amazing world of sock knitting, but it’s also great for experienced sock knitters who are looking for help with designing their own socks. I’ve included instructions on custom-fitting socks to your feet (and your yarn), as well as tips on picking the right heel/toe combo and design elements. I think this book has the potential to become a great resource for any sock knitter- a book that you can come back to again and again, whenever you need a new, customized pattern for that next pair of socks. I’m super happy with how this book turned out, and I really hope that you guys are as excited about it as I am. This entry was posted in Patterns and tagged book, knit picks, knit socks, knitpicks, knitting, knitting book, sock, sock knitting, socks, socks for everybody, socks for everybody book, socks knitting on March 23, 2018 by onemilljellybeans. Hey guys! I made a new sweater! Oh! Speaking of “Book”! 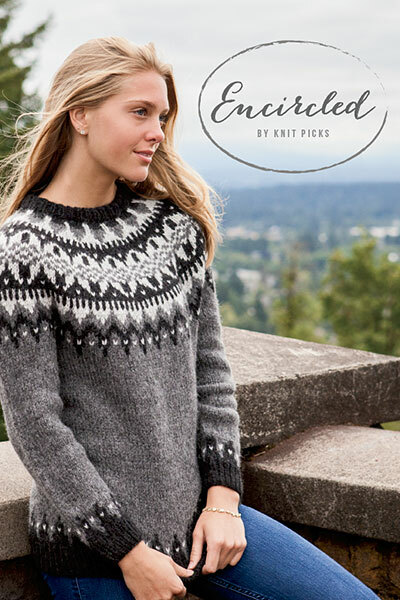 This pattern is featured in Knit Picks’ newest collection, Encircled, which is all about yoked sweaters. (It features 10 gorgeous patterns in every style of yoked you could think of- it’s delightful!) Grab your copy of Encircled here! Or, if you just want to knit up a Bubbles Pullover, get the pattern here! This entry was posted in Patterns and tagged book, bubbles pullover, collection, pattern, pullover, sweater, yoke, yoked sweater on September 13, 2017 by onemilljellybeans. When I’m coming up with a new design, sometimes an idea pops wholesale into my brain. Sometimes I get a small idea that grows slowly over time. And sometimes… it’s like pulling teeth. When I get stuck like that, there’s nothing better than pulling out my stitch treasuries for a little dose of inspiration. I’ve got two books that are my particular favorites, and I’d like to share them with you. 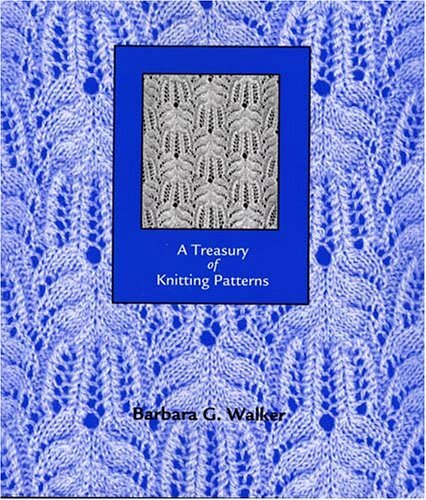 First, I love Barbara Walker’s classic “Treasury of Knitting Patterns” collection. I got the first three books for Christmas couple years ago, and I use them all the time. Sometimes I’m looking for an idea for a nice all-over pattern, sometimes I need a particularly complex cable that I can’t figure out on my own. And sometime I just want to look at all the pretty knitting. Unfortunately, these books are fairly old (the first one was originally published in the 60s), so some of the designs aren’t explained as clearly as I would like. And, almost all the designs are written out (except book 3, which is all about charted patterns), which drive me up the wall! But, despite these small problems, I can’t recommend these books highly enough. If you haven’t taken a look at them already, swing by your library and pick one (or four) up. You’re sure to be inspired. A Treasury of Knitting Patterns by Barbara Walker My other favorite knitting pattern treasury is a little different. Most noticibly, it doesn’t contain any English! I found this treasury in the book section of my local Asian grocery store (Uwajimaya… If you ever visit Seattle, stop by, because it’s absolutely amazing). 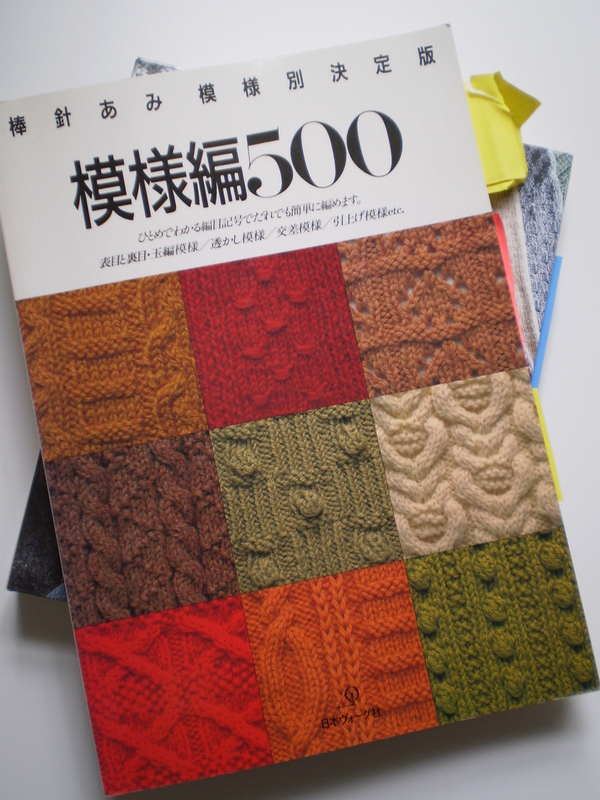 I was looking at Japanese craft books, because there’s something crazy soothing about the Japanese Craft Book aesthetic (when I look at them, I suddenly think that wearing beige smocks and headbands decorated with pompom critters seems like a really good idea). Anyway, I found this book, and it’s densely packed from front to back with thickly-patterned knitting designs, some I’d never seen before. Crazy slipped stitches, wrapped stitches, and pompoms. Delicate lace, thick squishy cables, and gorgeous patterns that defy categorization. Of course, since it’s not written in English, it’s a little tough to parse the patterns at first, but if you go slowly, there are plenty of diagrams explaining each symbol. And, since the book was published in the 80s, the color palette leans a little hard on the mauves and mustards. But other than that, it’s the best! If you can find a copy at an Asian book store, definitely buy it (or just order it from Amazon). 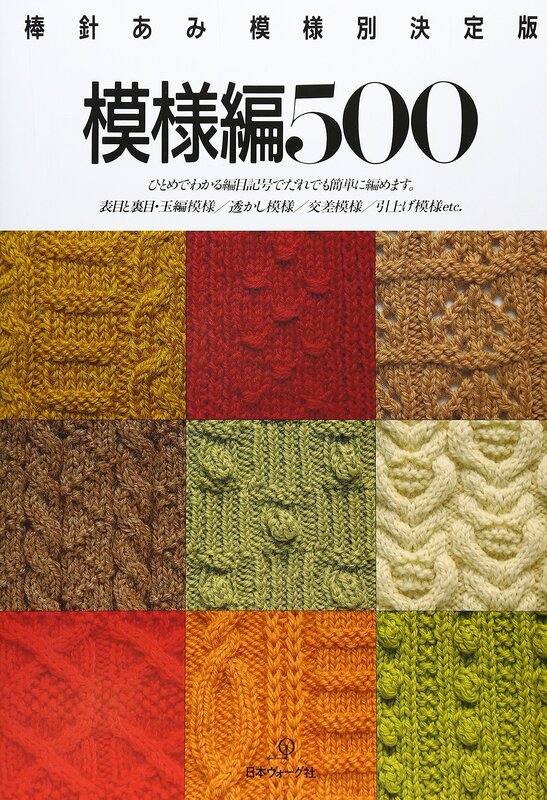 Knitting Patterns 500 by Nihon Vogue Sha Do you have a favorite knitting reference book? This entry was posted in FYI and tagged book, books, knititng book, knitting, knitting pattern book, knitting pattern treasury, pattern on August 25, 2017 by onemilljellybeans. Last week, I asked you to write about your favorite parts of spring to help celebrate the launch of Knit Pick’s latest spring-y collection, Flourish. And, boy, did you come through. So many lovely descriptions of spring- you’re all poets! Seriously, if you’re looking for something delightful to read, just go check out those comments. You really made my day. Anyway, through a highly scientific and random process (also known as throwing a bunch of numbers in a bowl and picking one out at random), I have selected a winner! Tina Fagan! You’re the winner! Congratulations! I’ll send you an email in a little bit, so keep an eye out for it (and if you don’t see it, let me know), and we’ll get you hooked up with a copy of this super cute collection. If you’re not Tina, have no fear! 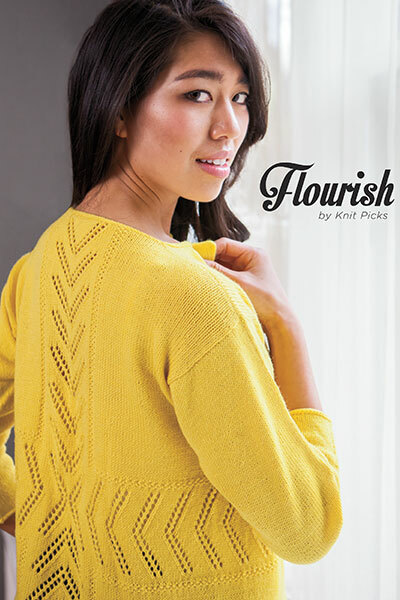 You can still get a copy of Flourish from the Knit Picks website! This entry was posted in About the Blog and tagged book, book giveaway, collection, flourish, giveaway, knit picks on March 31, 2017 by onemilljellybeans. It’s giveaway day! Always a favorite (or at least my favorites). Let’s get right down to it. 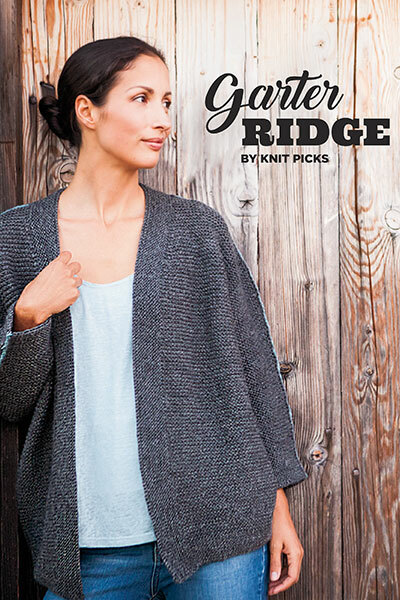 I’m giving away a free copy of Knit Picks’ newest collection, Garter Ridge, featuring a pattern from yours truly. It’s a whole book full of understated, squishy, gorgeous, garter-stitch loveliness. And, so many of you responded, I’m just going to scroll down the page and land on someone at random (“The Price Is Right”-style). And the winner is: Knitonepugtwo! I’ll be sending out your email some time today, so keep an eye out for it to come through (sometimes they end up in the spam folder). 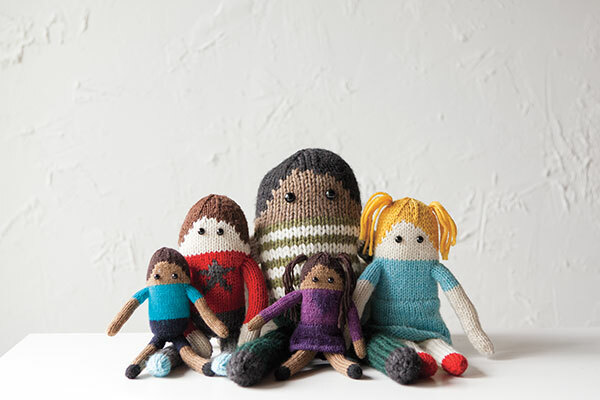 If you’re not the lucky one today, hop over to Knit Picks’ website to buy your own copy. This entry was posted in About the Blog and tagged book, book giveaway, collection giveaway, drawing, garter, garter ridge, giveaway on October 21, 2016 by onemilljellybeans. So, without further ado, let’s see who wins a beautiful copy of KnitPick’s 52 More Weeks of Dishcloths! Drumroll please! And the winner is: Sue! Congratulations! Sue, I’ve sent you an email so that you can send me your address and I can get this book in the mail real soon! This entry was posted in Uncategorized and tagged book, collection, dish cloth, dishcloth, giveaway, knitpicks, knitting, pattern on March 2, 2016 by onemilljellybeans. I’ve been thinking and planning and dreaming about the sweater I’m going to make with my big blue skein of yarn from Lopez Island. I’ve decided I want it to be a cardigan, probably a V-neck, and, I think, a raglan. Like I said the other day, I’m planning on making this into a cropped sweater, but I’m not sure on how long I want my sleeves to be (at least long enough to cover the short sleeves of a couple favorite dresses). Maybe 3/4 sleeves, or even long sleeves (if I have enough yarn). All this together (raglan, a short body, and not being sure about the sleeves) screams “top-down sweater.” If I do the sweater top-down, I can try it on as I go, and keep going until I am happy with the length. 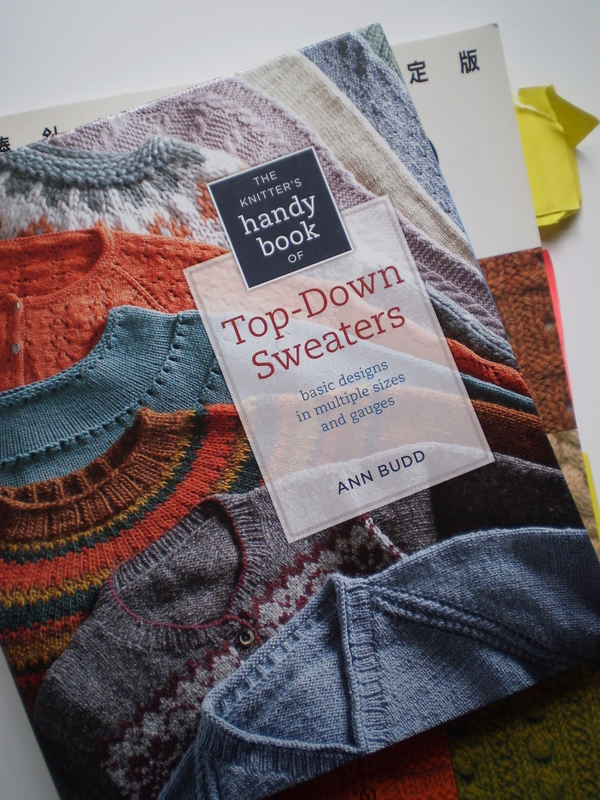 And when I make a top-down sweater, there is no other book to look to but Ann Budd’s “The Knitter’s Handy Book of Top-Down Sweaters.” If you’re even a little interested in making your own sweater designs, grab a copy of this book. In it, Ann Budd has done all the math to make virtually any sweater you want. (She’s worked out 4 different styles of sweater, both cardigan and pullover, with v-necks and crew-necks in virtually any size and with nearly any yarn.) Just find your gauge, decide your size and follow along. You can follow the patterns as written for a super-classic sweater, or add cables, bobbles, lace or whatever else you like to create something really special. I’ve got my basic sweater plan now it’s time for the fun stuff… the decorations! The autumn rain is beginning to fall in Seattle, so I think I’m feeling some cables coming on. But, this yarn is super-chunky, so I don’t want to make the sweater too heavily-cabled, or it will end up making me look like the Stay Puft Marshmallow Man. So, maybe I want to add a little lace, too. Just like how I have a go-to sweater construction book, I have a go-to stitch pattern book. But here’s the thing; I don’t even know its name. It’s a Japanese stitch dictionary that I found at a grocery store in Seattle’s International District. It’s got hundreds of gorgeous knit stitches in every style- cables, lace, textures. It’s to die for. If you have a Japanese book store by you, totally see if you can find one of these books (I’m pretty sure it is from a series-I’ve seen other similar books elsewhere). Or, if you search for Japanese knitting books on Amazon, you’ll find something like it. Inside, it’s full of page after page of swatches, accompanied by surprisingly understandable charts. I don’t read a word of Japanese, and I use it all the time! 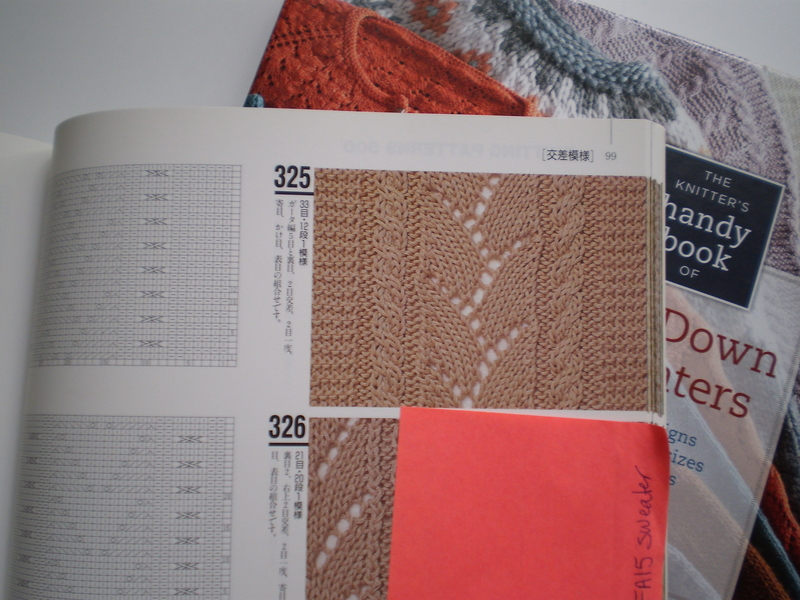 Looking through the book, I think I’ve settled on this pattern- how pretty would that lace look down the back of a sweater at an over-sized gauge? Now I’m itching to start knitting! What knitting books are your go-to favorites? This entry was posted in FYI and tagged ann budd, book, books, japan, japanese, knitter's handy book of top-down sweaters, knitting, pattern, sweater, top down sweater, top-down on September 14, 2015 by onemilljellybeans. Woo! Hello new folks! And hello not-so-new folks! 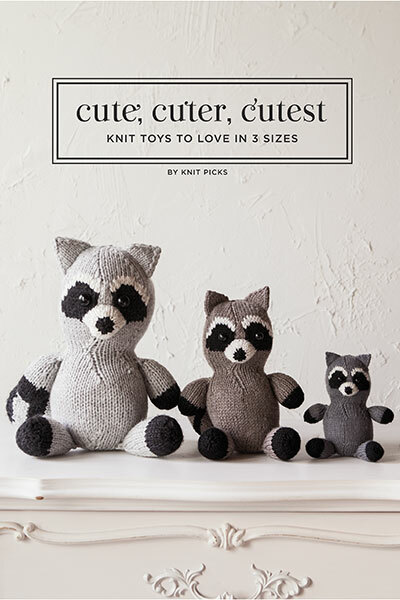 Thanks for entering the drawing for a copy of “Cute, Cuter, Cutest: Knit Toys to Love in 3 Sizes.” I loved reading about your favorite childhood toys. Such sweet stories and lovely memories! If you haven’t read everyone’s comments on last Friday’s post, you should definitely take a look. But, enough sentimentality! You’re all here for the giveaway! More than fifty people entered, but only one can win. I wrote down everyone’s names, and picked one at random. And, Jan! You’re the big winner! Congratulations! I’ll be emailing you later this afternoon. And, if you’re not Jan, you still want the book, right? (Of course you do. Because it’s stupidly cute.) 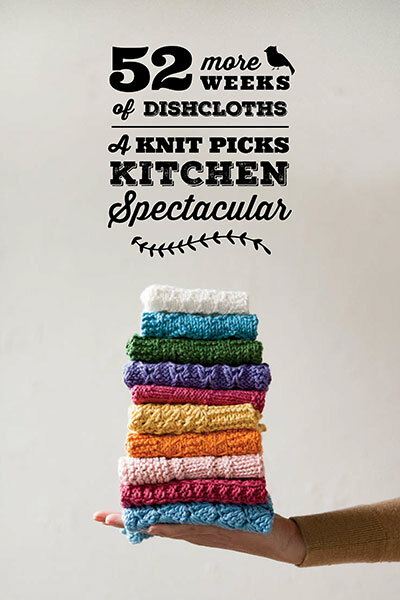 Head on over to Knit Picks and pick up a copy for yourself. This entry was posted in About the Blog and tagged book, cute cuter cutest, drawing, giveaway, human beans, knit book, knit picks, toys on May 15, 2015 by onemilljellybeans. I love books. I love to read them, I love to listen to them, I love to collect them, and I love to download them to my Kindle (it’s basically magic!). I usually tend toward more “guy” types of books. Lots of swashbuckling, dragons and evil robots. But, sometimes I end up swinging the other direction. The girly, romance-y, knitting-filled direction. Sugar Maple looks like any Vermont town, but it’s inhabited with warlocks, sprites, vampires, witches, and an ancient secret. And Chloe Hobbs, owner of Sticks & String, a popular knitting shop, has a big secret too. She’s a sorcerer’s daughter in search of Mr. Right, and she’s found him in Luke MacKenzie, a cop investigating Sugar Maple’s very first murder. Bad news is he’s 100% human, which could spell disaster for a normal future with a paranormal woman like her. 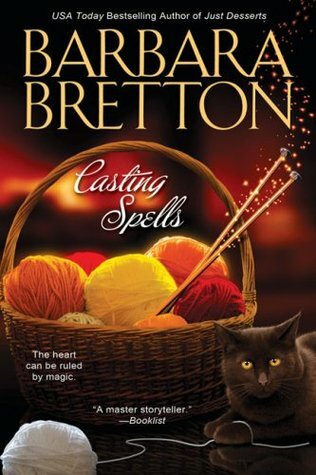 I bought Casting Spells by Barbara Bretton, and read it in about two days over Christmas break. And, you know what? It was delightful. Maybe not high literature, but really fun. It was a little chick-flick-y, a little bit of a cop story, and a little bit paranormal. And, the whole book is full of goofy little knitting jokes. The main character is introduced as she’s trying to block a particularly difficult lace shawl. She threatens people with her US15s. And, she has a magical bottomless basket of roving. I even went on to read the second in the series, Laced with Magic, which was just as good. If you’re looking for a new author, something a little goofy, and fun, you could do worse than the Sugar Maple Chronicles from Barbara Bretton. Have you read anything good recently? 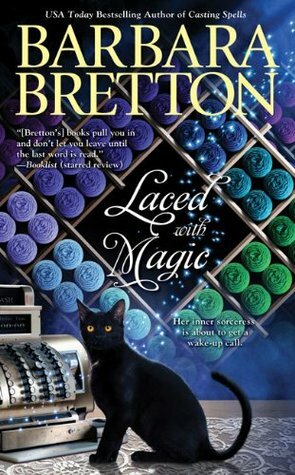 This entry was posted in While You Knit and tagged barabara bretton, book, books, bretton, casting spells, knit lit, knitting, laced with magic, novel, novels, sugar maple, sugar maple chronicles on January 21, 2015 by onemilljellybeans. Let’s keep the celebration of novels going! I love reading a good book, and I love knitting. But, surely there must be a way to enjoy a good story without putting down my needles. This is the 21st century, after all. In fact, there is! Audiobooks. I always have an audiobook or two (or twelve) on my phone, ready for me to listen to at a moment’s notice. They’re great for driving, doing yard-work, cooking, and of course, knitting. But how do you get Audiobooks onto your phone without spending an arm and a leg at Amazon or on iTunes? (Or, if you’re a cheapskate like me, the question is: how do you get audiobooks for free?) The library! And, you probably don’t even have to leave your house. Most libraries these days have started online collections of digital media (audiobooks, e-books, and Kindle books) accessible through the library website. You sign up in person at the library, and get a pin number, which you can then use to get digital media through the library’s Overdrive account. (Think of Overdrive as an iTunes-like download service for libraries). My library lets me check out 24 books at a time, and they automatically are returned when my loan is up (no late fees!). There’s nothing better than discovering a new, great book. Especially one that’s free! So, if you haven’t already, take some time on your next trip to the library and ask about their audiobooks. Then, spend some time curled up with your knitting and a good book. This entry was posted in While You Knit and tagged audio, audio book, book, library, loan, novel, overdrive on November 21, 2014 by onemilljellybeans.